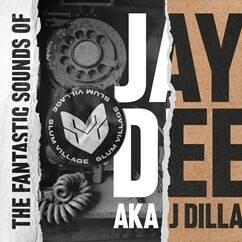 NEW YORK, NY, U.S., November 7, 2018 /EINPresswire.com/ -- Splice, the music creation platform used by over 2 million musicians, announced today the release of “The Fantastic Sounds of Jay Dee,” a collection of sounds cut from the original recordings of Jay Dee aka J Dilla. The sound pack is now available for download via Splice Sounds, the world’s leading sample library that powers the creative process of Top 40 hitmakers to bedroom producers. At Splice, we’re evolving the way people create, connect, and collaborate. We don’t just react to what musicians need now; we take their creativity further by asking what they need next. From our browsable library of samples to our pioneering rent-to-own plugin plans, our products power the creative flow of today’s musicians. Over two million musicians -- from Top 40 hitmakers to bedroom producers -- come to Splice to get started or unstuck, move forward and make progress on their music. Splice was founded in 2013 by Steve Martocci and Matt Aimonetti with a belief that an open music ecosystem will lead to more and better musicians, more and better music, and a creative culture that works better for everyone. https://splice.com.